The kingdom of God is the central theme of Jesus' preaching. Through stories and images, Jesus teaches that God's presence among us-his powerful reign-is both mighty and quiet, both welcoming and demanding. As small as a seed and as grand as a great dinner party, the kingdom of God grows among us and transforms everyone who embraces it. In this volume of Alive in the Word, New Testament scholar Frank Matera explores three gospel passages that will orient you to this essential, transforming message of Jesus. Frank J. Matera was for many years the Andrews-Kelly-Ryan Professor of Biblical Studies at the Catholic University of America. A former president of the Catholic Biblical Association of America, he is presently the pastor of St. Mary's Church in Simsbury, Connecticut. He has published commentaries on Romans, Second Corinthians, and Galatians and written books on New Testament theology, New Testament Christology, New Testament ethics, and Pauline theology. 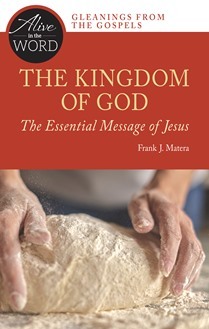 Matera's previous works published by Liturgical Press include Strategies for Preaching Paul, Preaching Romans: Proclaiming God's Saving Grace, The Sermon on the Mount: The Perfect Measure of the Christian Life, and Resurrection: The Origin and Goal of the Christian Life.